Knowing that reporting is a vital feature for your daily SEO work, we’ve spent the last few weeks focusing on this capability. We implemented an export function for the recently released Website Auditor in AWR Cloud, that helps you present the results of your optimization efforts in comprehensive CSV sheets which your clients can easily understand. This version also comes with new Google Analytics metrics, new ranking views with multiple dates comparison, and more. You can now create CSV exports with in-depth information provided by the Website Auditor, and share them with your clients or co-workers by email. The export is split into various sections, containing the URLs of the pages analyzed and the related findings of the auditor. To create a new audit export, navigate to the Research -> Website Auditor menu in the application and use the Quick Report function from the upper – right corner of the screen. This will open a detailed export wizard, where you can choose the sections you want to include in your CSV file. The Website Auditor exports are included in the monthly quota of shared reports that each AWR Cloud plan provides. 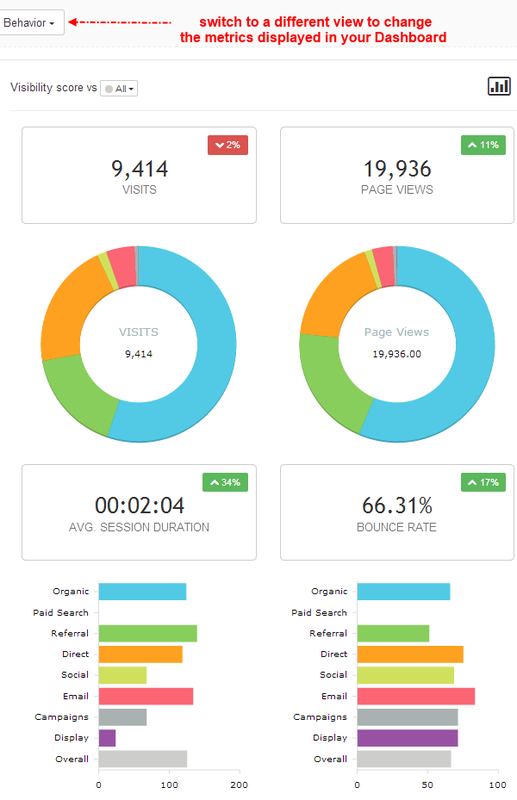 In the new cloud version, we enhanced the Dashboard with traffic metrics like Page Views, Average Session Duration and Bounce Rate, as well as Google Analytics Goals. This way, if your website does not have the e-commerce tracking setup in Google Analytics, you will be able to visualize your rank tracking progress in comparison to the behavior metrics of the visitors who reach your website. The new metrics will be retrieved automatically in AWR Cloud for the projects where Google Analytics is already connected. If you haven’t synchronized your projects to Google Analytics yet, now it might be a good time to do it, by following the steps in this Help section of the web application. 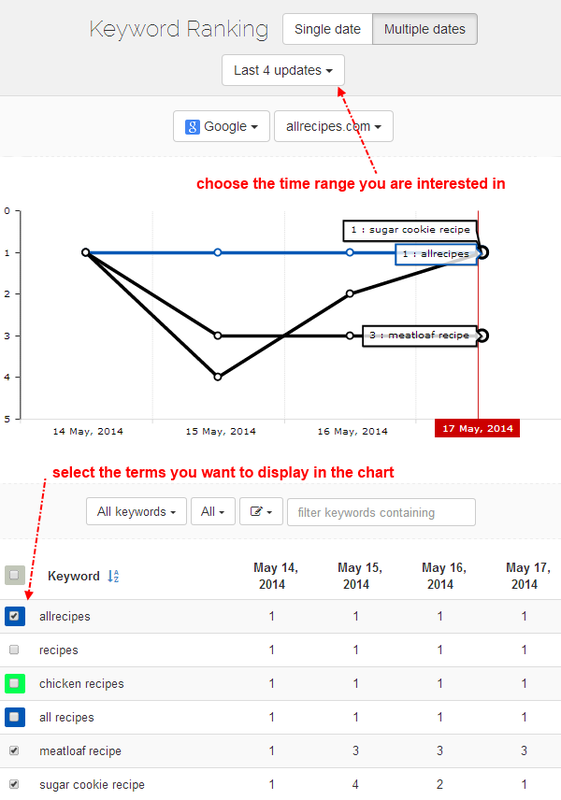 Sometimes, chart lines aren’t enough to visualize the effectiveness of your SEO work in time. That’s why we have come up with the multiple dates comparison views. 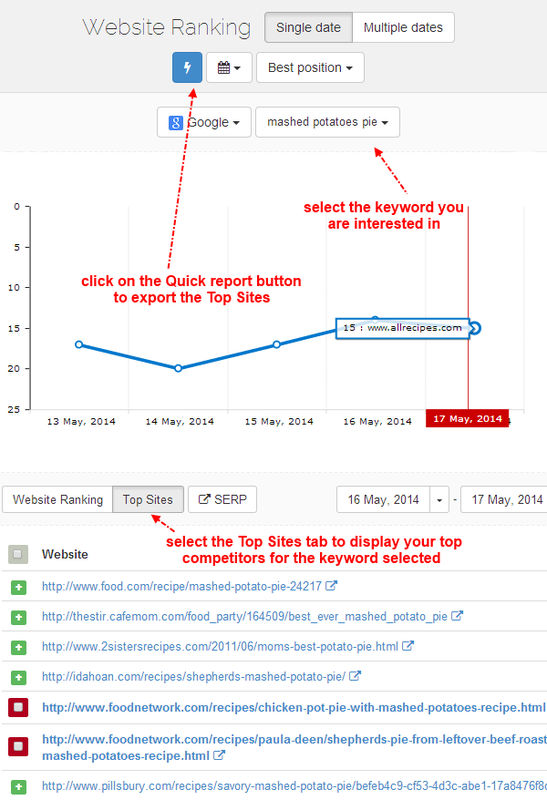 Now you can compare your keyword positions side by side for multiple dates. Website Ranking – Multiple Dates – shows positions for your website and your competitors, on the search engine and keyword selected. Keyword Ranking – Multiple Dates – shows positions for the keywords you are tracking, on the search engine and website selected. So, if you’re after a better way to track your rankings progress across several weeks or months, this is definitely the way to do it. 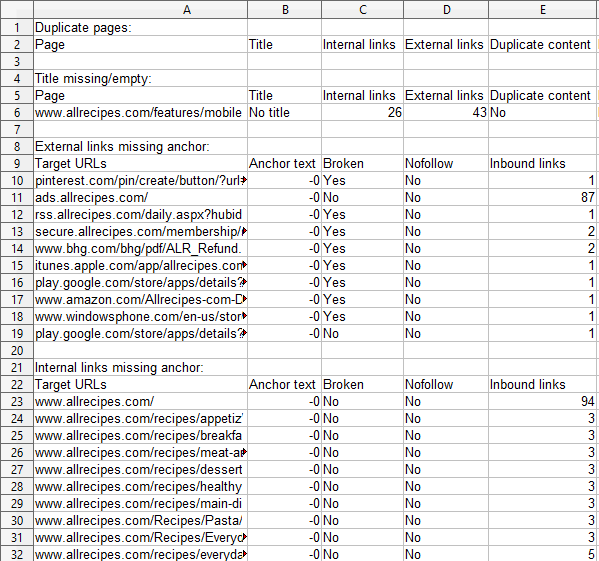 You can now export the Top Sites for a specific keyword and search engine in csv format. 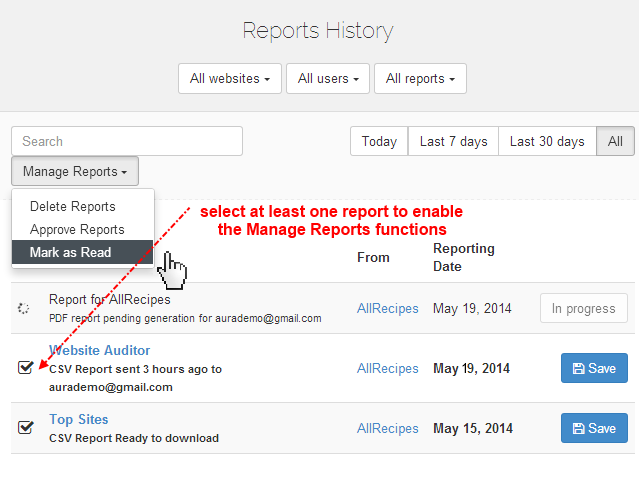 In this version, we added three bulk actions you can perform on the reports generated in your account. 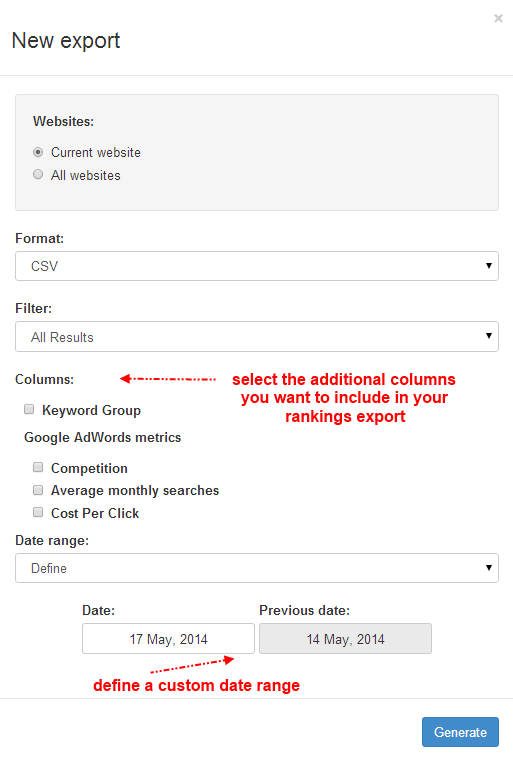 We implemented the ability to add optional columns with keyword groups and AdWords metrics to your CSV exports. That’s about it for now. I hope you have enjoyed reading this article and found something you like 🙂 . As always, you’ll find much more goodies inside the new version of AWR Cloud, waiting for you to try them. Hi. Great updates. Only flaw is that when I View the keyword ranking by Multiple dates I can’t apply a filter to look at keywords with a specific label. Hello Julie, Good spot:) Our developers are already looking into this and a solution should soon be available online. Thanks!